The waiting period for the Mahindra XUV 500 is undoubtedly high, but keeping the high demand in mind, the company has promised to deliver XUV 500 in just 14 days, especially for those who will be booking this stylish vehicle during the time period between 14 to 21st Feb 2013. Working on the delivery is certainly required for the firm and then promising to deliver in a certain period of time could turn out to be quite a challenge for Mahindra and Mahindra. 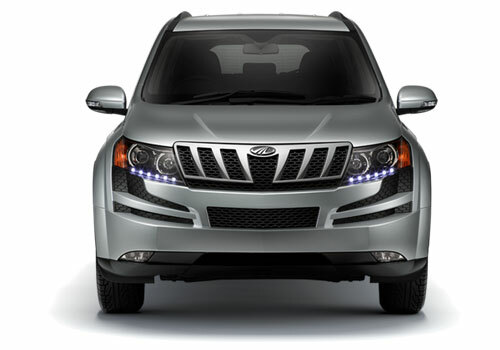 It is to be noted that Mahindra and Mahindra introduced its best SUV, Mahindra XUV 500 in the year 2011. Since the time it has hit the Indian shores, the car has been climbing the ladder of success with a very swift speed. Recently, the sales of XUV 500 touched 10000 figure in Maharashtra. Impressive isn’t it? The best part is that the car maker is trying its best to make the delivery of XUV 500 very rapid and quick. To make XUV 500 even more a bigger success, the car maker has recently launched this stylish SUV in a new Arctic Blue shade. There is no additional cost for the shade. You can still buy XUV within the price range of Rs. 11.8 to 14.4 lakh, depending on the variant one picks out. Also, few rumors in the market suggest that Mahindra and Mahindra is already working on a new version of XUV 500. The new XUV 500 is likely to embrace fresh braking package that would promise to improve the overall braking performance of the car.